Gilt Groupe is having a sale on Seychelles shoes. They have everything from pumps, sandals flats to booties starting as low as $49. 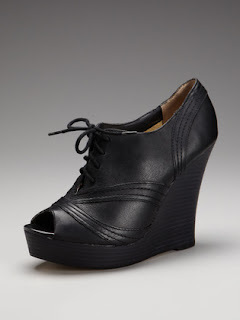 I'm in love with these Hawk Peep Toe wedges that are going for just $69 (originally $130). The sale ends tomorrow (2/2) at midnight so you better hurry. Oh, if you're not a member already you can click here to get my personal invite. Happy Shopping!